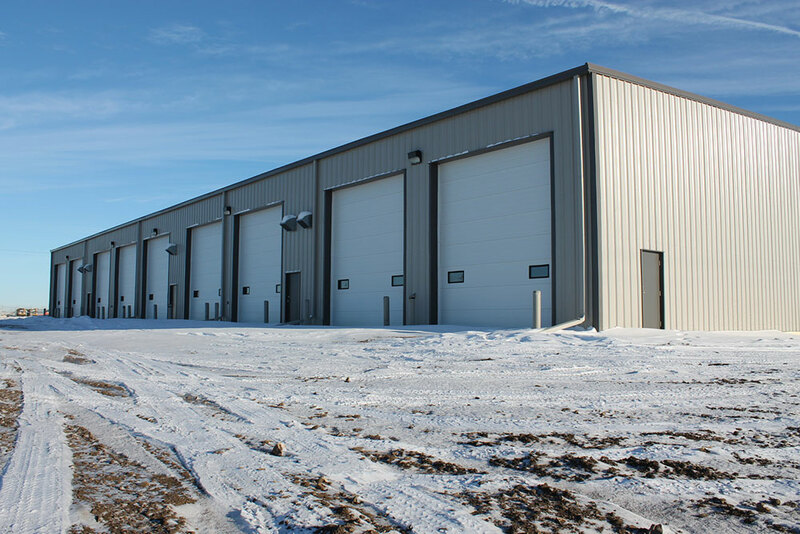 Sunward Steel Buildings, Inc. manufactured and supplied this pre-engineered steel building on behalf of a client in Hardisty, Alberta, Canada, in March of 2013. Currently, the Ferrey Group Holdings owned and-operated building and business houses industrial and commercial rental units residents of the surrounding region can utilize as shops or offices, and it commonly serves clients with ties to the area’s thriving petroleum and farming industries, among others. Economical, adaptable and easy to maintain, the building provides a steady revenue stream for its owner and features a broad mix of bays renters can use for industrial or commercial purposes. Equal parts attractive and functional, the building features high-end steel construction, maximizing strength and durability, and it boasts an eye-catching Misty Grey exterior. 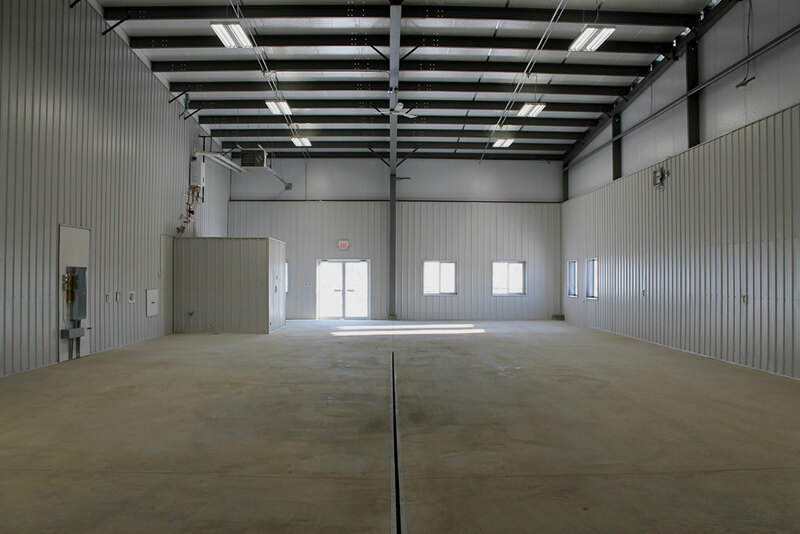 Split into (5) individual bays that accommodate a broad range of different uses, the building stands 85’x182’x20’ in size in total, and it features a corrosion-resistant Galvalume roof with a 1:12 pitch overhead. 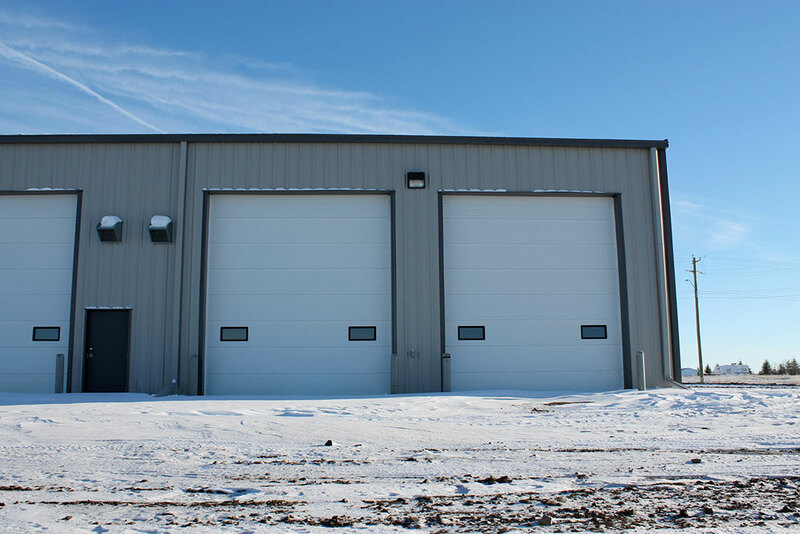 Distributed throughout the steel industrial and commercial rental facility are (29) framed openings ranging in size, among them (11) 3’4”x7’2” walk door openings, (2) 6’4”x7’2” walk door openings, (9) 14’x16’ overhead doors, (13) 4’x4’ windows, and finally, (2) 3’x3’ windows. A 6” snow gutter serves as an additional premanufactured metal building feature, helping melt snow and ice before it can weigh down the building’s roof, while several of the rentable bay units also feature in-floor radiant heat. While (3) of the building’s rental bays are ideal for industrial use, the other (2) feature storefronts and windows, making them suitable for commercial purposes. The building also includes a two-bedroom living quarters connected to one of the bays, which renters can isolate from the bay, should they wish to do so. Offering a sizable mix of accommodations and features, Ferrey Group Holdings’ Hardisty rental property caters to a varied range of businesses and industrial operations across Alberta. A part of east-central Alberta, in the Battle River Valley, the town of Hardisty falls within Canada’s Flagstaff County. The community sits about 111 km from the Saskatchewan border and roughly 71 km from Viking. 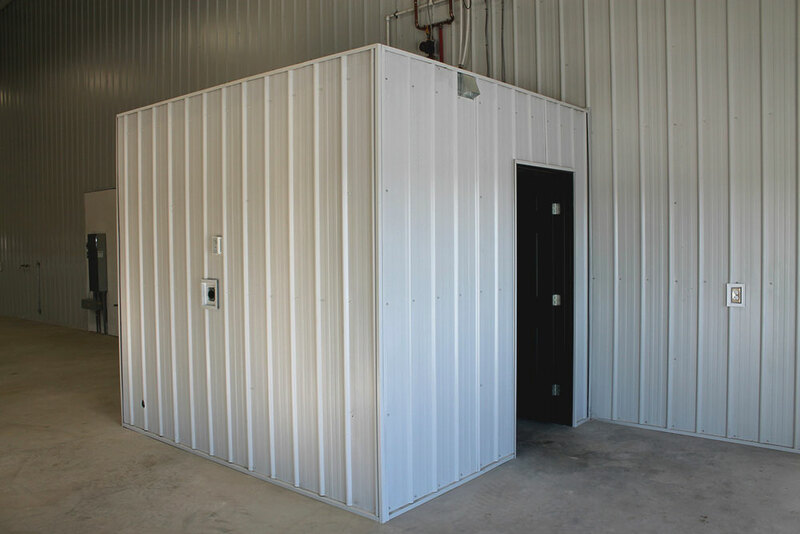 Considering purchasing a pre-engineered metal building for use in Canada or the United States? Click here for a price quote.